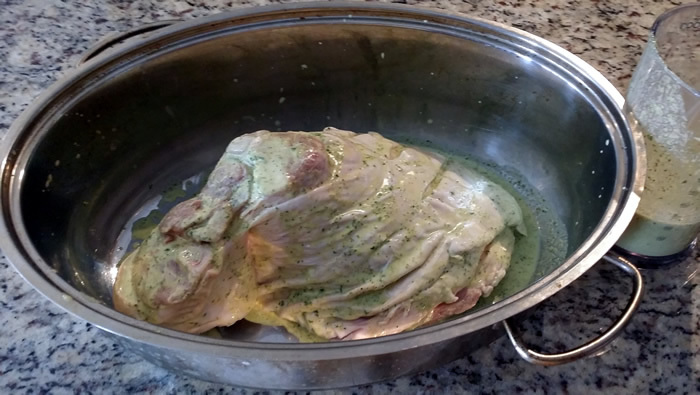 This is a simple recipe but it needs to marinate for 12 to 24 hours, so best to prepare it the day before you want to serve it. I like to make double the amount of marinade needed (450 mls) so that I can use it again for chicken or fish as it stores well in the fridge. If you don’t have any spicy oregano, just add some fresh chillies or chilli powder to the marinade along with fresh oregano or coriander if you prefer. I used bought lime juice, but freshly squeezed would be even better. 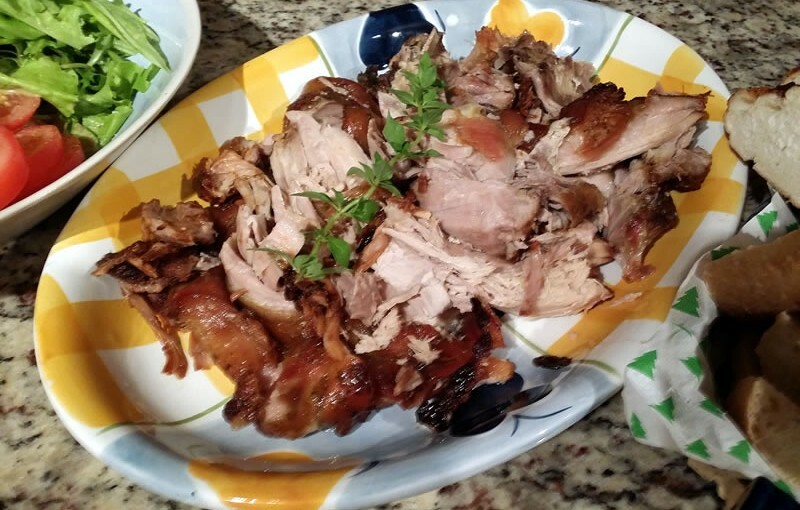 This is a great recipe for a casual meal served with fresh bread and salad. 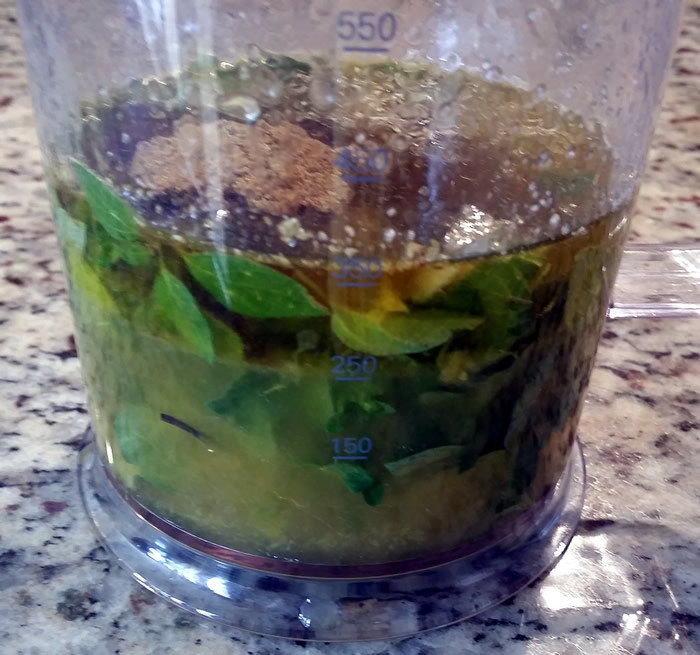 Put all marinade ingredients into a blender and blend until smooth. 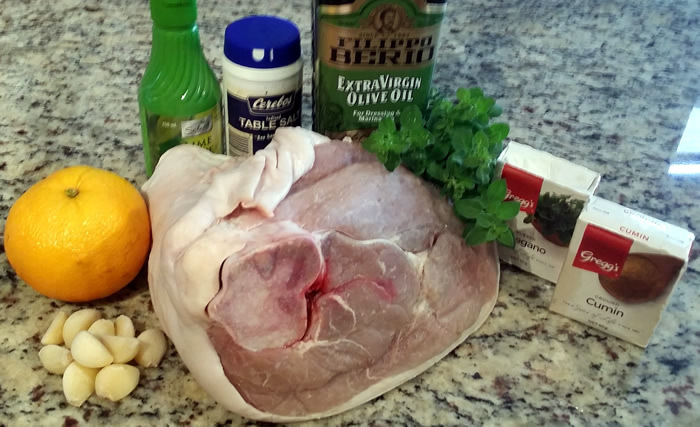 Score the skin on the pork and pour half the marinade over and massage into the meat. Marinate in the fridge for 12 to 24 hours. 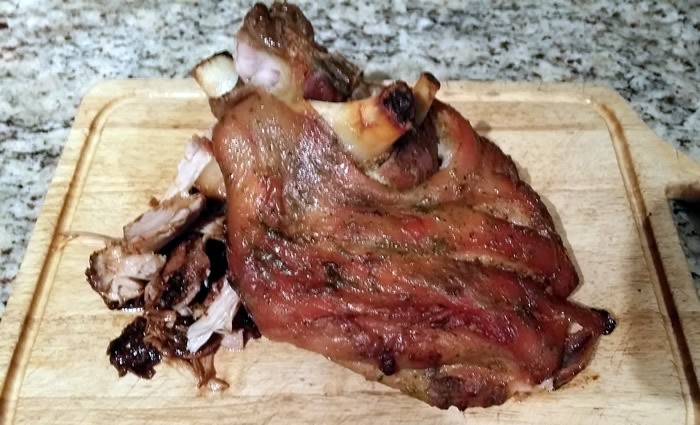 Roast covered at 150° C for 4 hours (it should be deliciously moist and falling off the bone). Let stand for a few minutes before serving.